1. Preheat oven to 200 C. Grease and line a muffin pan. Sift flour 2-3 times. 3. Using an ice-cream scoop pour batter in the prepared muffin pan. Bake at 200°C for 10 minutes, reduce temperature to 170°C and bake for 8-10 minutes or till a toothpick inserted into the cake comes out clean. Allow the cupcakes to cool completely. 4. Whip prepared ganache in large bowl. 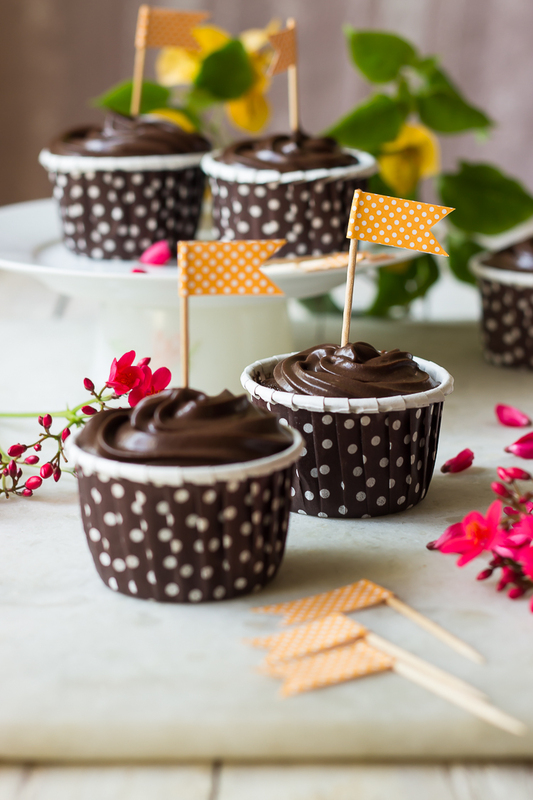 Transfer the whipped ganache into a piping bag with Wilton 1M tip. Frost the cupcakes with ganache as per your liking and serve.